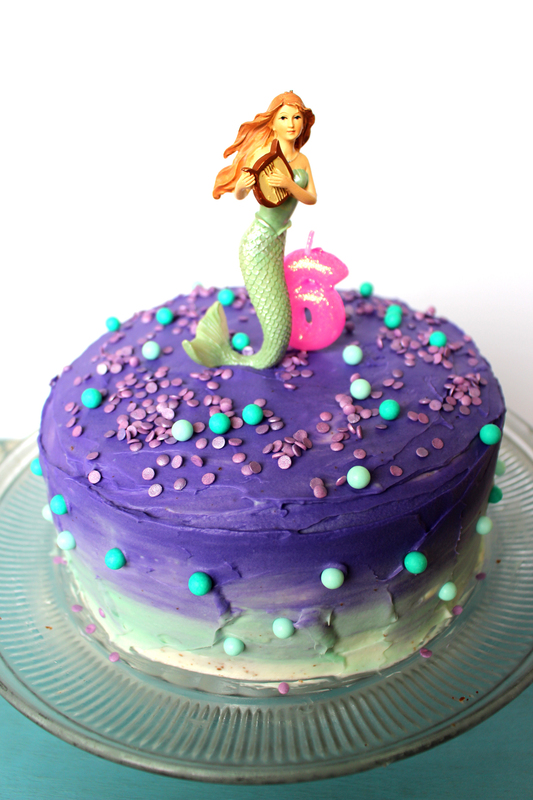 I got to make these pretty mermaid cakes for two sweet girls’ birthdays this Aug./Sept. 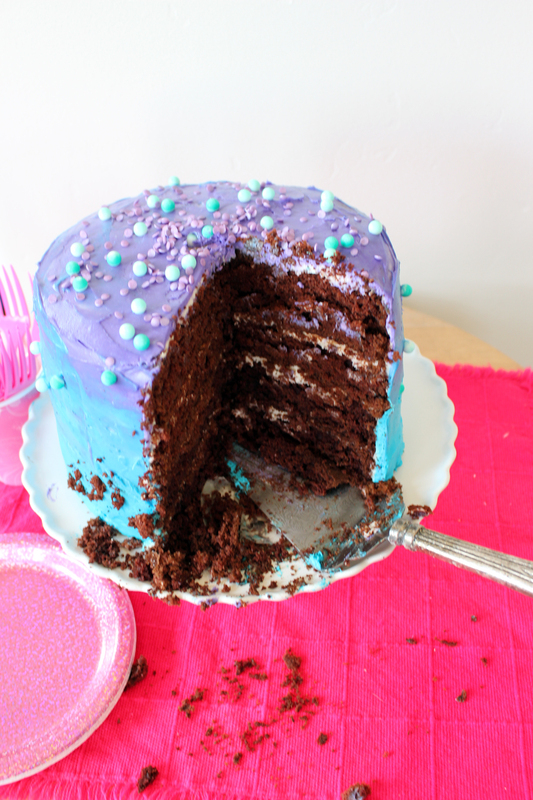 They were three and four layers of chocolate cake from scratch and cream cheese frosting. 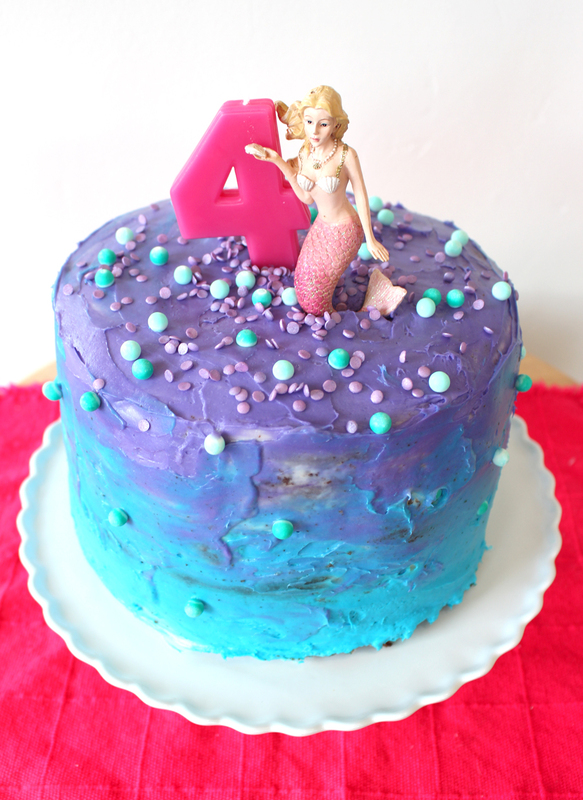 The ombre colors helped give the mystical mermaid look and the pearl sugar beads completed the look.